Architectural close up of the A. Lee-Chin Crystal at the Royal Ontario Museum in Toronto, Ontario Canada. The Michael A. Lee-Chin Crystal (designed by renowned architect Daniel Libeskind), the entrance to the Royal Ontario Museum in the city of Toronto, Ontario, Canada. 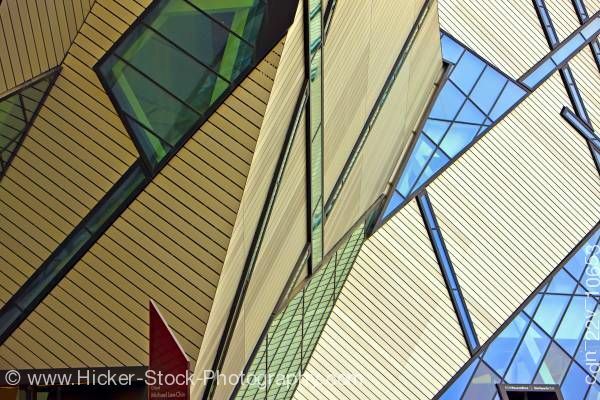 This stock photo shows the architectural details of the Lee Chin Crystal with some of the windows.